It's incredible that so much amazing history exists in Brisbane! Do you know anything about Rockmount House in Annerley? It's a beautiful building, but I can't seem to find any information on it! I'm not really aware of it. I liked the blogger who condemned a historical landmark building being destroyed, saying it was "a scandalous demonstration of what can happen when greedy developers enlist modernist architects to defeat supine planning authorities". I would add that the state and local governments who wanted to enhance the cathedral precinct by demolishing St Martin's buildings had zero sense of historical importance. claudes: thanks for the info on Rockmount. 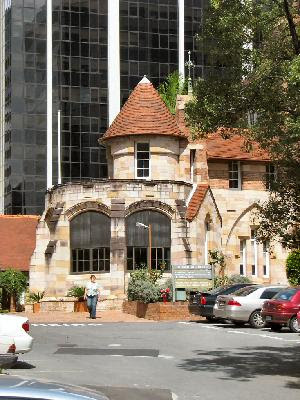 It doesn't appear on the Queensland or BCC heritage lists. It's a lovely residence and that article provides some history of the place.